Your animals become part of our pack. Mid-Day Play is your trusted provider of professional pet care services. We have proudly served pet parents throughout Sandwich for nearly a decade. Our team is committed to caring for your pets, large or small, as if they were our own. Whether the service is dog walking, vacation care, doggie day care or training, our commitment is to love your pets unconditionally. Our doggie day care is equipped to provide physical exercise, mental stimulation and social interactions with other doggie friends and trained dog handlers. Social interactions with other dogs are an extremely important part of a dog’s development. We provide a happy, healthy and safe environment for your dogs to play and interact in. Nothing makes us smile more than an excited dog that can’t wait to come in and play! This doesn’t just mean socialization with other dogs, but interaction with new people and new environments. We want dogs to be happy, healthy and safe. At Mid-Day Play, dogs receive hours of personalized attention while experiencing off-leash play. It’s one of the best ways that your dog can get exercise and stimulation. They learn appropriate play and work on their behavior skills while having fun! Mid-Day Play was established in 2010 by Lanette Yingling in Sandwich, IL. Her passion for animals inspired her to create a safe place where dogs can learn, grow and play. She started off as one-woman dog walking service and quickly realized there was a great need for animal care in her rural area. 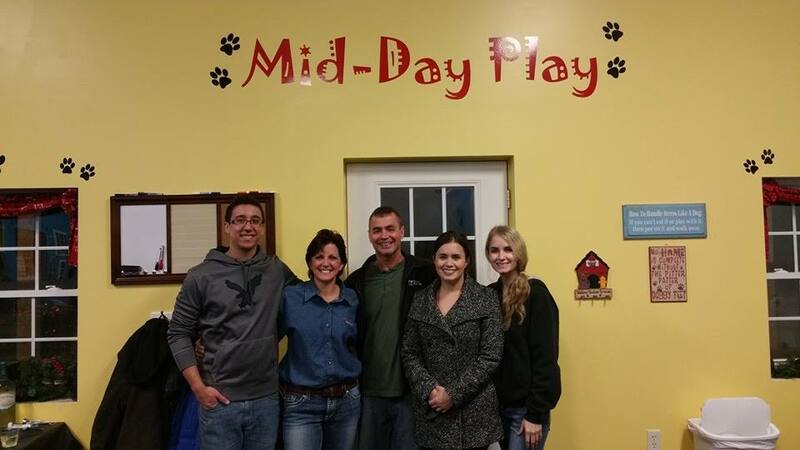 As clients became more familiar with her passion for animals, they began asking us about other pet care services, such as Doggie Day Care. 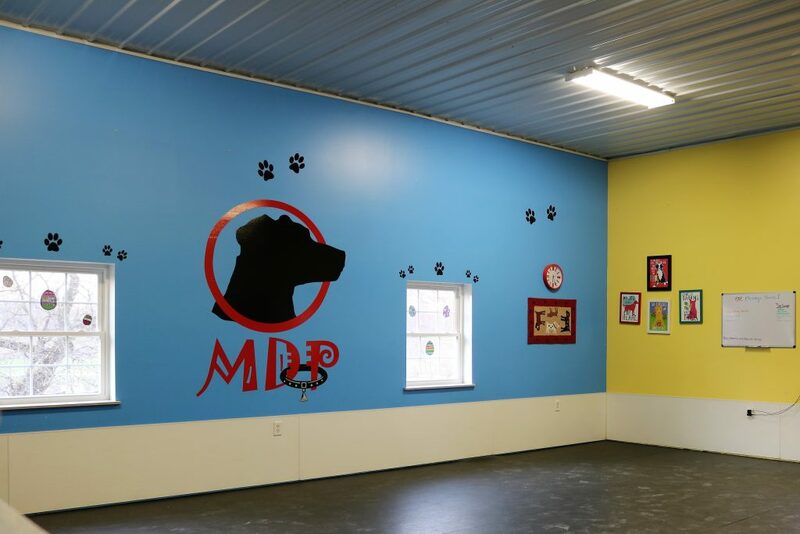 What started in Lanette’s garage has transformed into a 5,900 sq ft building of play space for dogs. Throughout the years, we have grown into a family of 10 pet professionals with love and compassion for every furry friend that comes through our doors. Owner Lanette prides herself in her ability to read the complex body language of dogs and loves to help them have positive interactions and experiences. My desire was to do something I love and to help alleviate stress in the life of a pet owner. All too often I hear, ‘I don’t go on vacation because I don’t want to leave my dog in a kennel,’ or “My dog is home alone for 10 hours because I don’t trust just anyone to come into my home.’ Therefore, Mid-Day Play was formed to help those in need. I have been taking care of animals for as long as I can remember. I came from a home that rescued everything and anything. My parents fostered my nurturing attitude. I have saved baby birds, rabbits, cats, dogs, rats and guinea pigs. I have owned everything from horses to snakes and almost everything in between. Mid-Day Play was founded with your fur babies in mind.